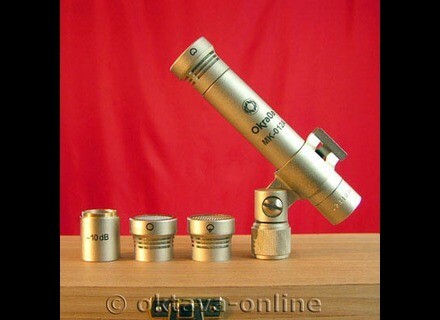 MK-012, Small diaphragm condenser microphone from Oktava. Pair of microphones with cardioid capsule used with a pre amp and phantom power (in my case) on your magnto. 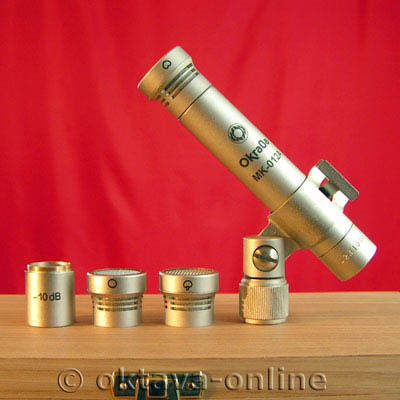 I do not know what the Oktava overlook other instrument because I have not tried and I dj what it takes ... (Especially a ElectroVoice RE20 for the sax, the great SIDS). The ratio price quality I think is excellent. I do not regret my purchase and I recommend it for those who want to record a jazz drummer without breaking the bank: 2 Oktava in overhead kick and a microphone (Sennheiser e 602 for me) and "a fact" without breaking the 6 or 7 head with microphones as I did before for a rsultat draft.